When talking with friends, loved ones or co-workers, your smile should stand out and leave a positive impression. However, what if your smile stands out – but for the wrong reason? Dark, stained teeth can be unattractive and very noticeable to others. Stains on teeth can be difficult to avoid, as our teeth darken naturally over time from age and from what we eat and drink. Fortunately, professional teeth whitening can help teeth return to their dazzling best. If you are interested in teeth whitening in Lynchburg, below is everything you need to know before you go. You cannot renovate the garage into a guest house if there are termites in the walls. Likewise, it is important to have a healthy mouth before whitening your teeth. Whitening can exacerbate sensitive teeth and gums, and may not take to teeth with cavities, worn enamel, exposed roots, fillings or crowns. Simply put, the better you have cared for your teeth, the greater results you can expect from professional teeth whitening. So, be sure to brush twice a day, floss regularly, and see the dentist every six months for regular checkups to help ensure you see the bright results you desire from teeth whitening treatment. Are There Side Effects to Teeth Whitening? The most common side effect for teeth whitening treatments is tooth sensitivity following the procedure. In particular, eating or drinking hot or cold foods and drinks may cause discomfort during the first 24 to 48 hours after treatment. Patients are advised to steer clear of foods that are more likely to cause pain during the first days after teeth whitening and to take over-the-counter pain relievers if needed. While professional teeth whitening can help you achieve the dazzling white smile you have always wanted, it is important to know that the cosmetic dentistry procedure is a long-term, rather than permanent, treatment. More than one initial treatment may be necessary to reach your desired level of whiteness, and the final results typically last from 1 to 3 years. Teeth whitening is not a solution to poor oral hygiene or an excuse to get out of brushing and flossing every day. Maintaining good oral hygiene habits is key to keeping your whitened teeth bright and beautiful. In addition to brushing twice daily, flossing at least once a day and regularly seeing your dentist, also consider avoiding dark foods and drinks that can darken your teeth – black coffee, red wine and some teas are all very effective at staining teeth. 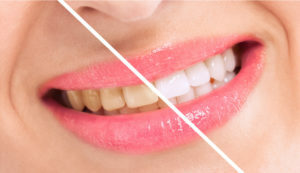 If you are tired of worrying about others noticing stains on your teeth, talk with a cosmetic dentist in Lynchburg today about whether professional teeth whitening is the right solution to brighten your smile. Since 1980, Peery Family Dentistry has helped patients from all over Virginia achieve the healthy and happy smiles they deserve. Led by the dynamic father-son duo of Dr. James M. Peery Jr. and Dr. James M. Peery III, the team at Peery Family Dentistry offers a range of cosmetic dentistry treatments to achieve brilliant, glowing smiles for their patients, including professional teeth whitening. If you are ready to transform your smile, visit their website today or call the office at 434-847-5331.